Cardiovascular exercise, also known as cardiorespiratory exercise, is defined as physical exercise that is intended to improve the cardiovascular system. The more cardio you do, the more efficient the cardiovascular system becomes with absorbing and transporting oxygen. 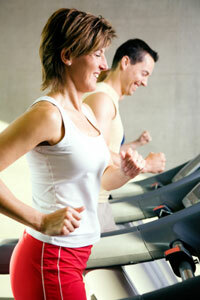 Cardio is intended to get the heart rate up and to keep it up for an extended amount of time. By doing so, you will help reduce body fat, increase blood flow, decrease anxiety and depression, decrease resting heart rate, and improve the overall strength of the heart. 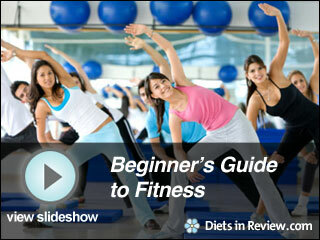 Beginning the cardio process is somewhat difficult because you definitely do not want to over do it. If you have knee or ankle problems, I recommend using either the stationary bike or the elliptical. If you have no injuries or problematic areas, I recommend using the treadmill. What should my heart rate be when I’m doing cardio? Well, first off, you should listen to your body. If your body can only handle ten minutes then only do ten minutes. Slowly work your way up to 30 to 60 minutes four to five days a week. Your heart rate should never reach your heart rate max, which is 220 minus your age. For example, I am 26, so 220-26=194. Next, is your target heart rate zone. This heart rate zone was established because the body burns the most fat in this zone (also known as the fat loss zone). The recommended target heart zone varies, but I tend to stick with 65-85 percent of your heart rate max. Even though you burn more calories at a higher heart rate, for health reasons you should try and stay within the target heart rate zone. So, my target heart rate zone is 220-26=194, .65 x 194=126 and .85 x 194=165 (126-165 is my target heart rate zone). I recommend purchasing a heart rate monitor to keep your heart rate in check. Good luck and feel free to ask question if you may have any! !